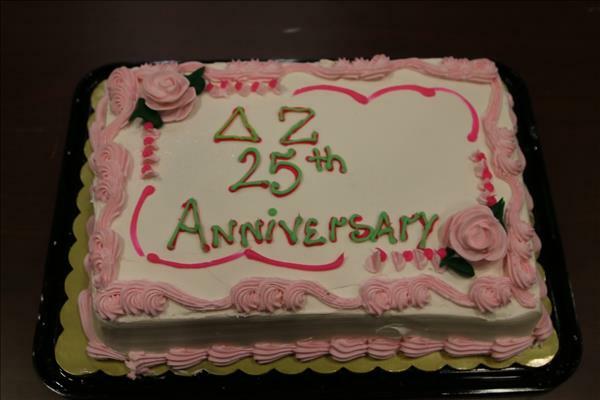 Omicron Sigma was founded on April 24, 1993 at Gallaudet University in Washington, DC. We've been around 25 years and going strong! Our chapter is a part of Delta Zeta Region 4. We currently have a total of 7 members in our chapter and our average GPA is 3.33! For the academic year Fall 2016 through Spring 2017 our chapter has donated 296 service hours and $0.00! 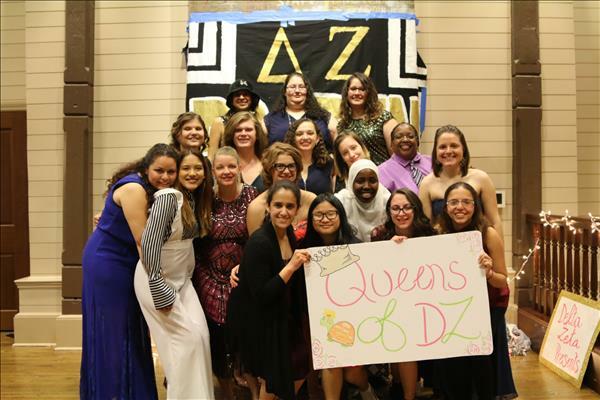 Delta Zeta Roaring 20’ Formal Night of 2018 at Gallaudet University. We had a banquet where we bring our plus one to interact with sisters, we dressed up nice and we also eat and dance too! We also had the serious and funny awards where we recognize the sisters for their work-Harding, invest their time for the year. Thanks to Vice President of Programs, Marlena Demmon who work hard to set up the food, the time schedule and the awards. This event couldn’t do without her! I also want to thanks to our sisters for their time to set up the party, help each other and clean after the party. It was our special night together.